In this bi-weekly video series, Collin Calvert '13 asks students their tips and tricks for midterms. 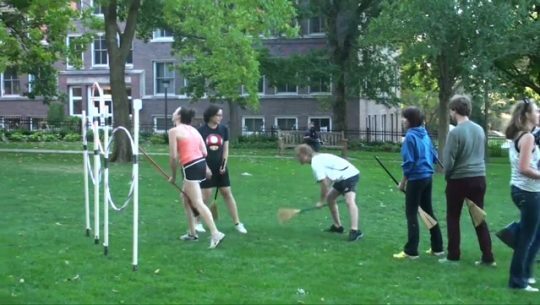 "I think everyone fantasizes when they read Harry Potter that they'll get to play Quidditch sometime in their life," says Joseph Frankl '14. Jesse Geary '12 studied abroad in Mongolia, spending several months living in a yurt and herding goats and yaks. In this bi-weekly video series, Collin Calvert '13 asks student what they're doing for Family Fest. Professor Roopali Phadke and three students held wind energy symposiums over the summer to help residents create policy. Encouraging minority students to earn PhDs is the goal of the Mellon Mays Undergraduate Fellowship (MMUF) program, now in its 30th year and its 11th year at Macalester. In this ongoing series, Collin Calvert '13 asks students what their latest obsession is. In this bi-weekly video series, Collin Calvert '13 asks current students what class they are looking most forward to. Students at Macalester are making it possible for the campus to become carbon neutral by 2025. It's no surprise to those who know Macalester that our students are working with faculty on science research that is both original and that aims to make a difference in how people understand the world. It’s one thing to perform service work—commendable, yet limited in scope. It’s quite another to take on social issues systemically, problem solving for the future. Such is the charge of the dozen annual Chuck Green Civic Engagement fellows, who set out each summer to analyze and address community-based issues. Andy Overman, professor of Classics, gives an overview of Macalester's dig in Israel. Adrian St. Francis ’13 (Sonoma, Calif.), an English and philosophy major, is immersed in helping design a poetry class. Hispanic and Latin American Studies professor Molly Olsen talks about teaching Macalester students. Jeesun Choi '13 talks about her two internships in Minneapolis and her research project with English Professor Nathan Hensley on violence in Victorian novels. What could be more fun that a fully funded year of international study and travel? That’s what’s in store for Morgan Sleeper ’11 (Deland, Fla.) and Keren Yohannes ’11 (Louisville, Ky.), who were awarded Thomas J. Watson Fellowships—one-year grants for independent study and travel outside the United States. 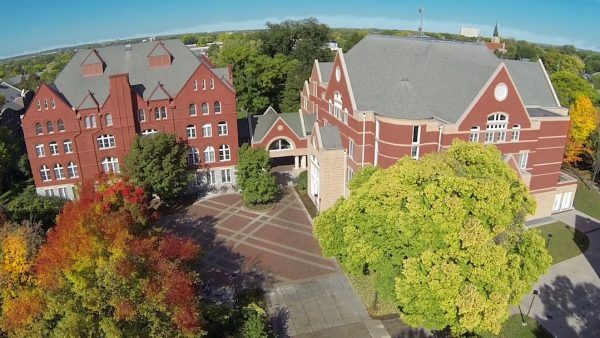 Macalester is located in St. Paul and minutes from Minneapolis, locally known as the Twin Cities. Professors and students talk about how the Twin Cities impacts their academics. Today, a tour of my square, M11, with supervisor Kate Peterson ('11). Includes a special guest appearance by site architect Prof. Michael Nelson of CUNY Queens. Enjoy! Waruiru Mburu '13 received a grant from the Live It Fund. Her project involves building a library at Bunabumali Good Samaritan Orphan and Needy school in Bunabumali village, Bududa District, Uganda.